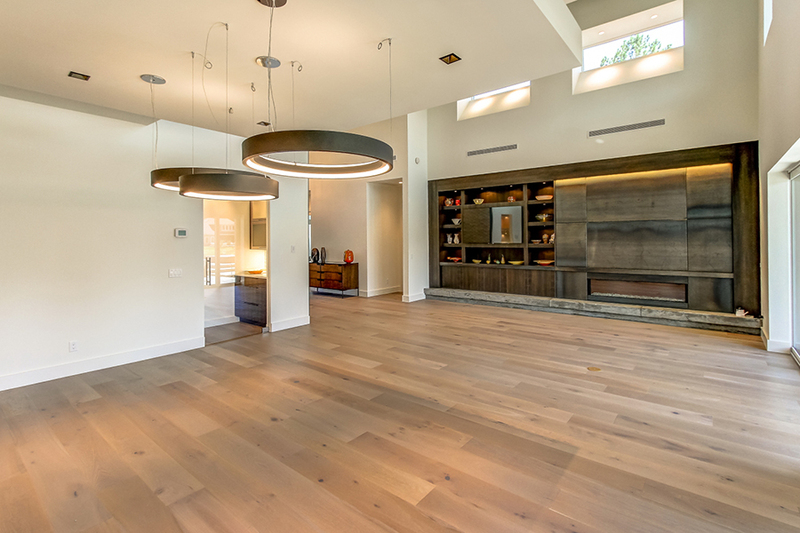 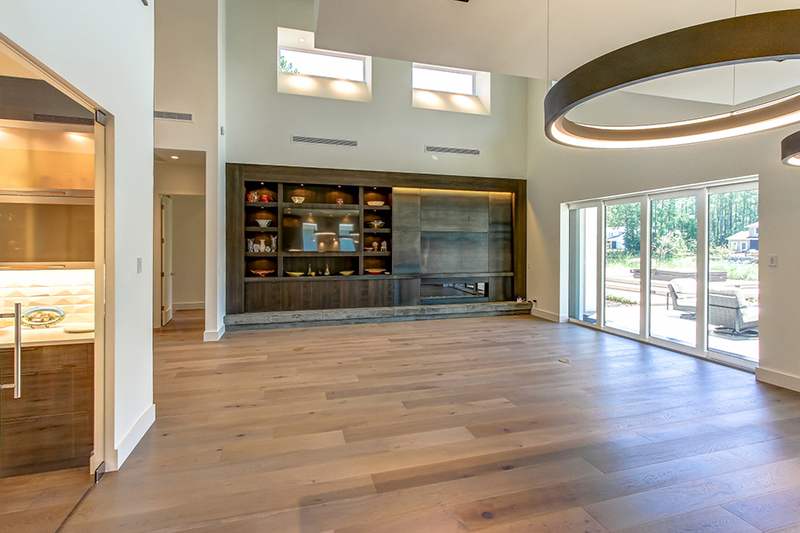 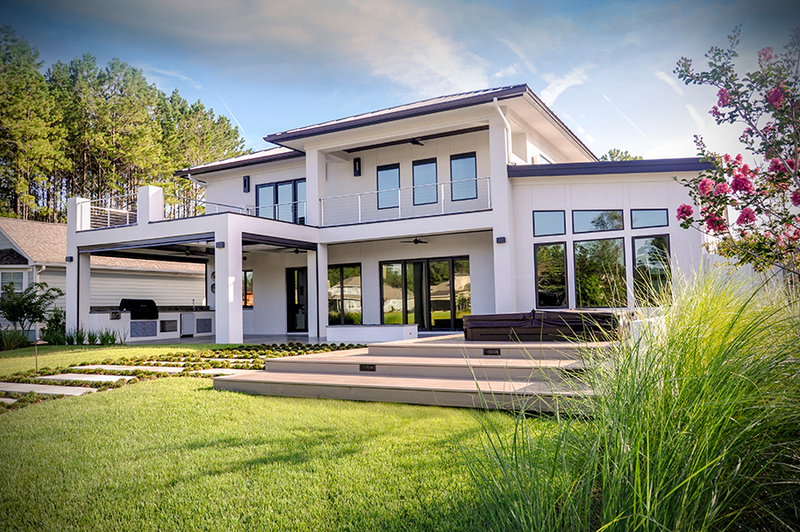 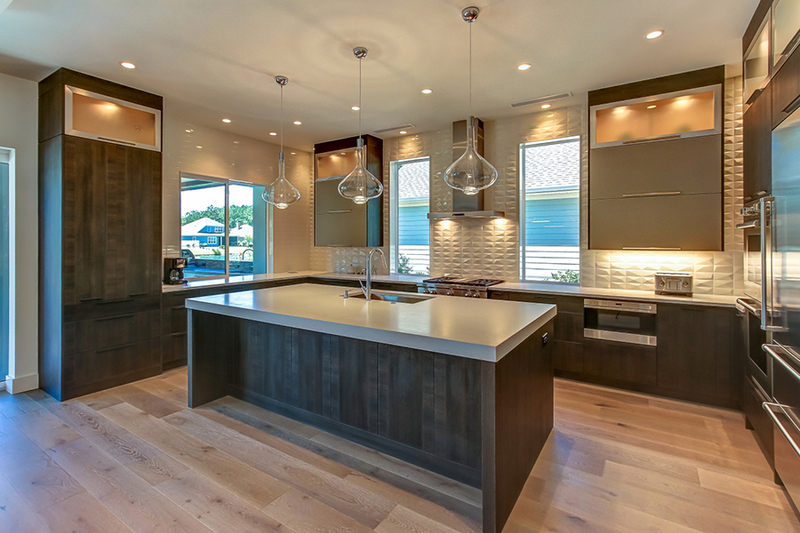 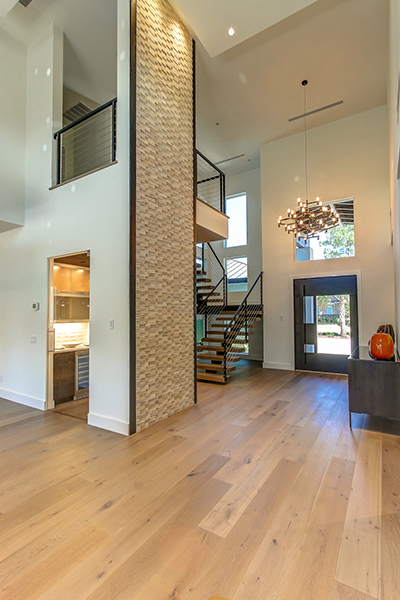 This is a contemporary, custom designed two story home with many unique features and details. 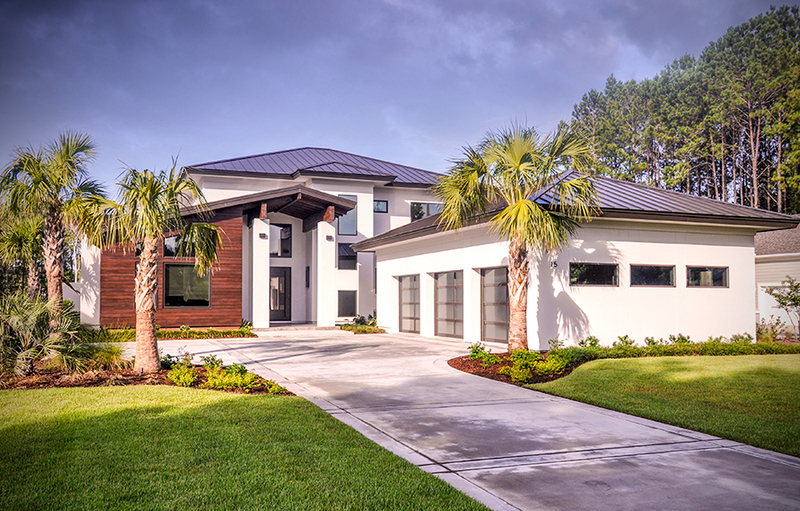 The garage doors are made up of glass and an exotic wood detail on the front elevation. 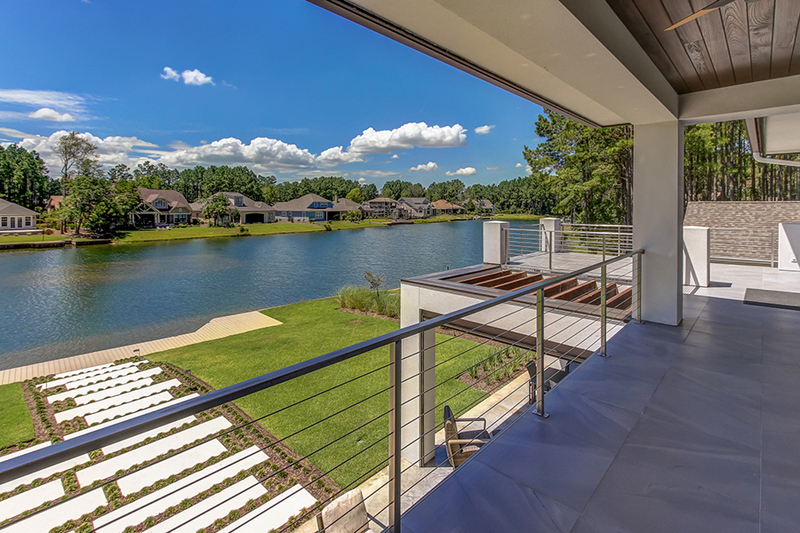 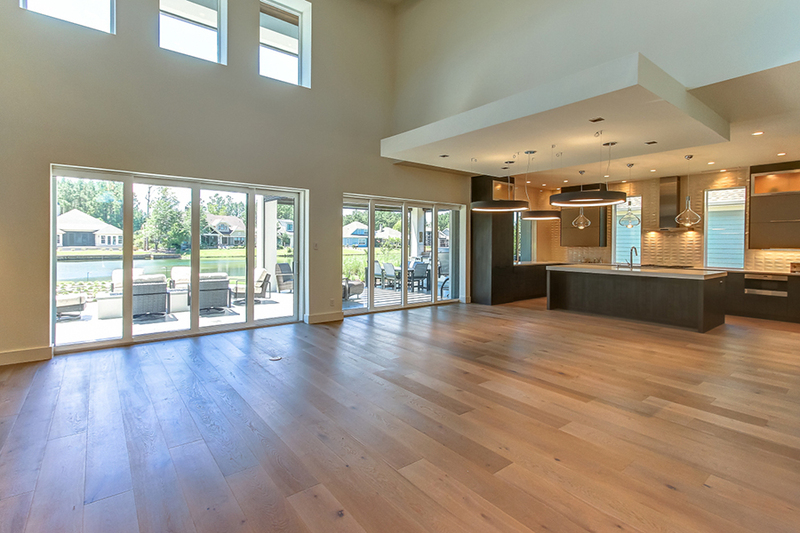 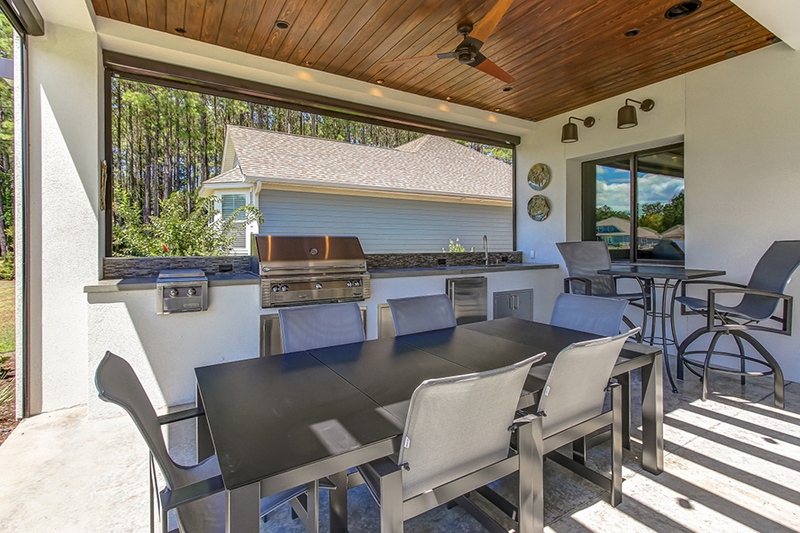 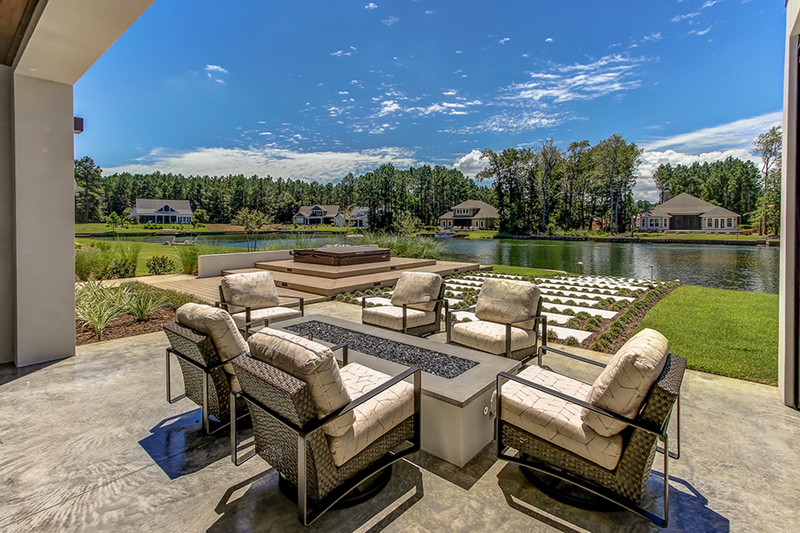 The outdoor living space is complete with an outdoor kitchen, a linear fire pit and a hot tub that is surround by a custom designed built step-up deck. 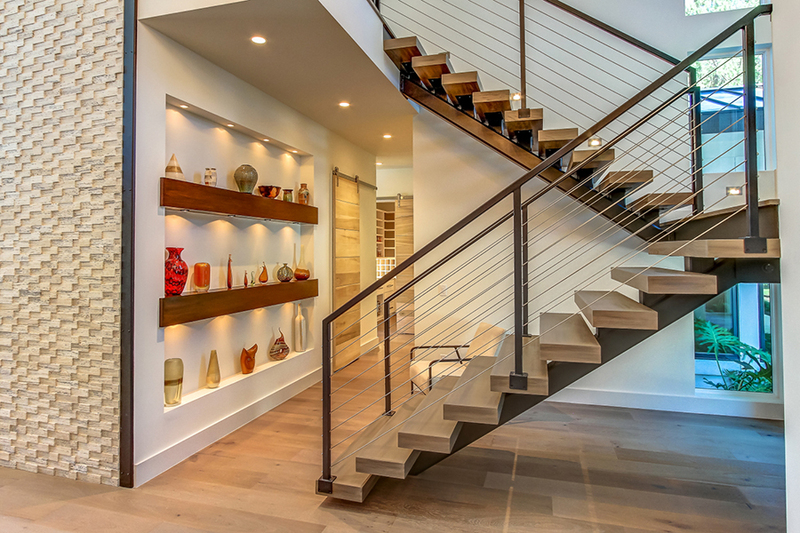 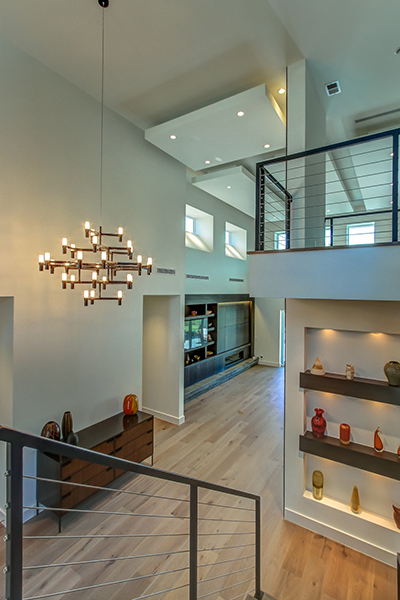 The beautifully designed open custom built staircase has iron rails and iron cables. 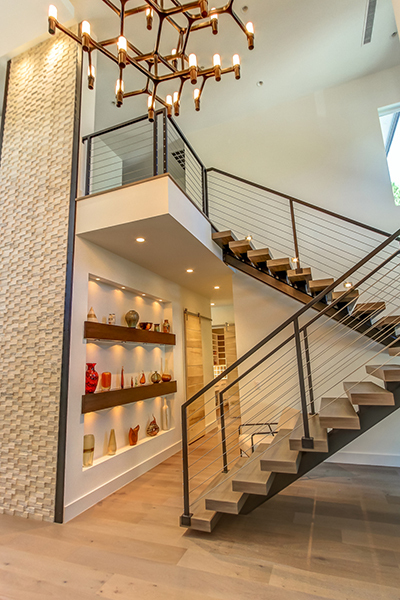 Right next to the staircase is a lovely niche that can be used for personal artwork. 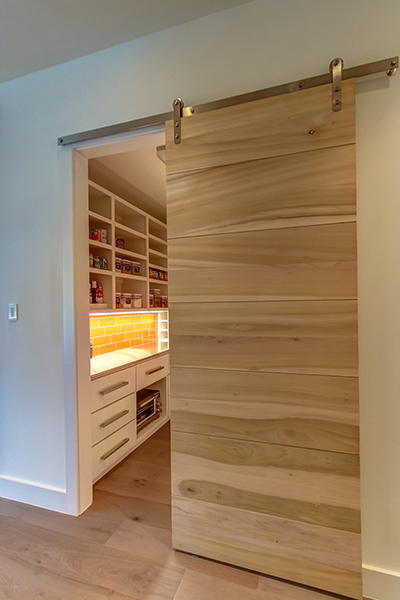 The barn doors also give this area a special touch as well as the stone walls. 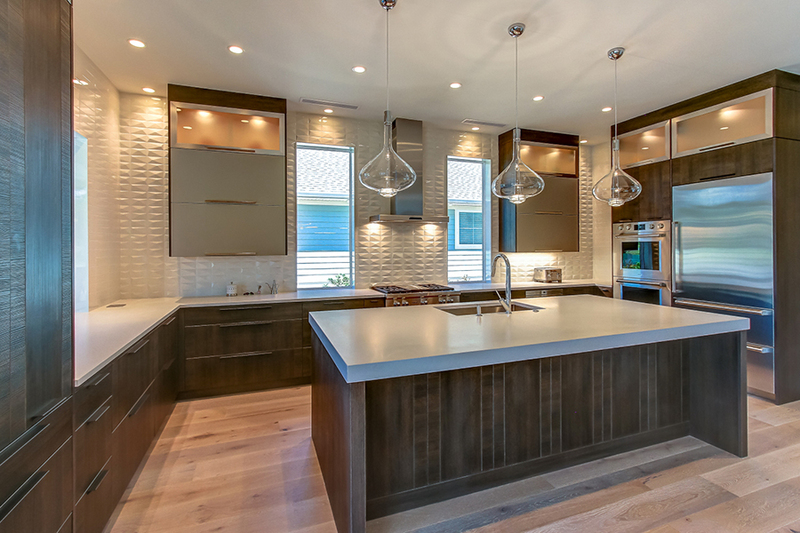 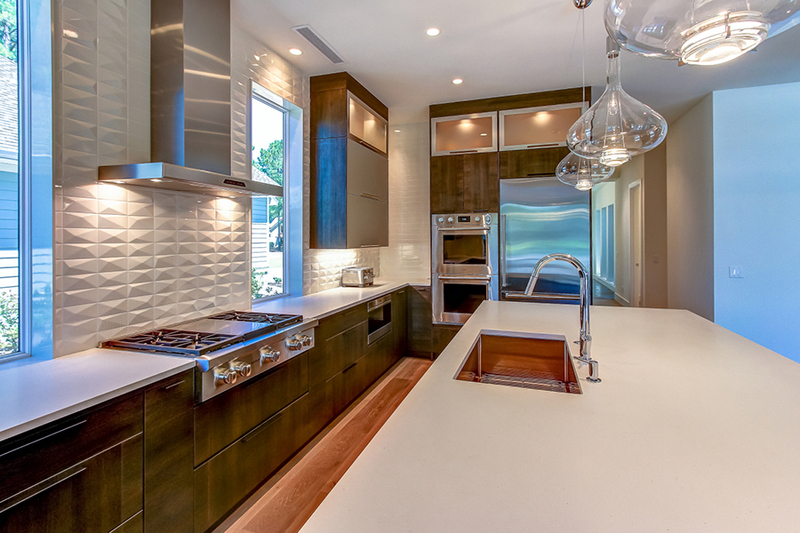 The kitchen has custom cabinetry, stainless steel appliances, Caesar Stone counter tops and unique light fixtures. 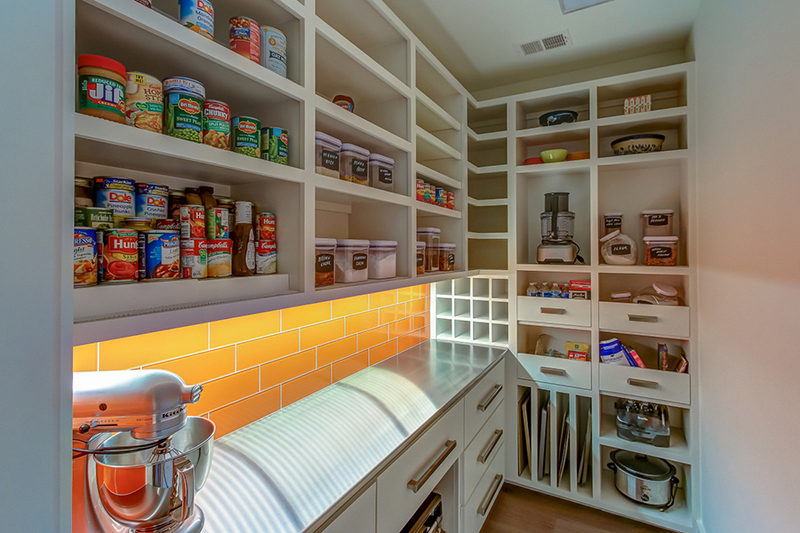 The cabinets have under lighting and there’s a hidden pantry that was custom made with a contemporary barn door. 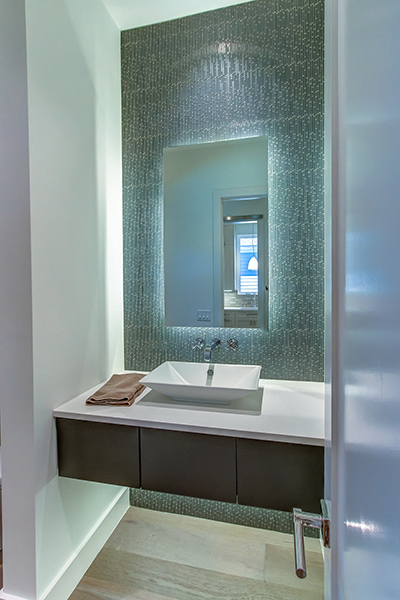 In the power room, we designed a floating cabinet and a back lit mirror the tile wall is also make of glass.. 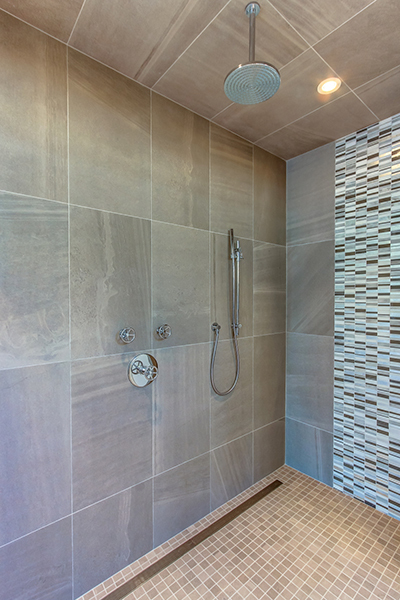 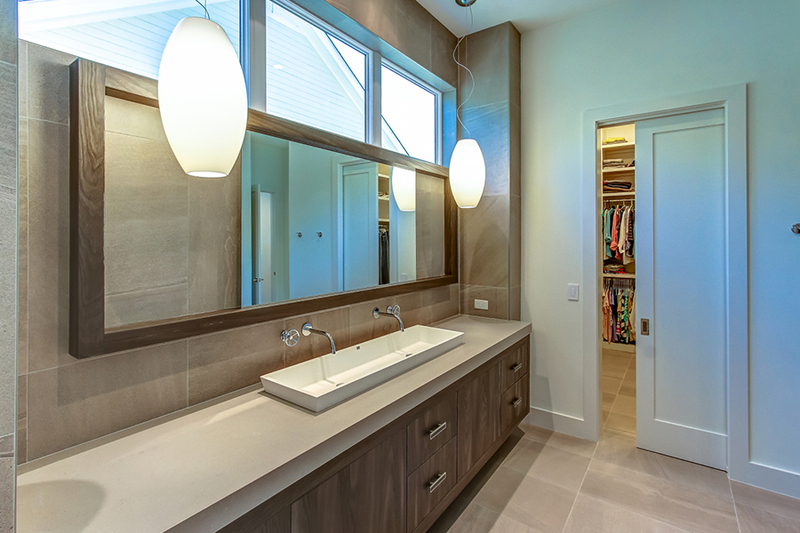 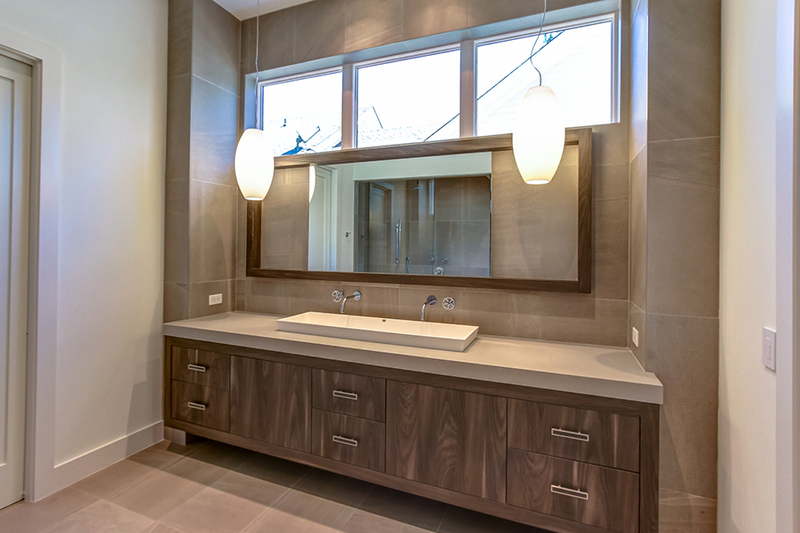 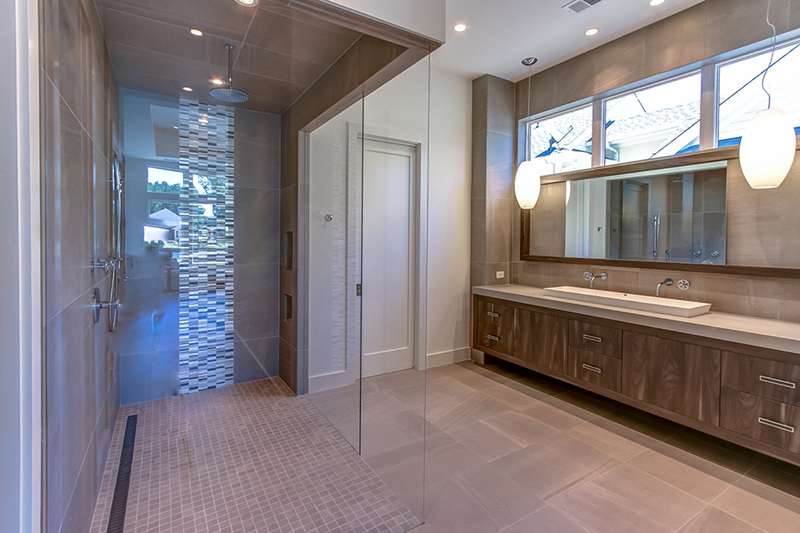 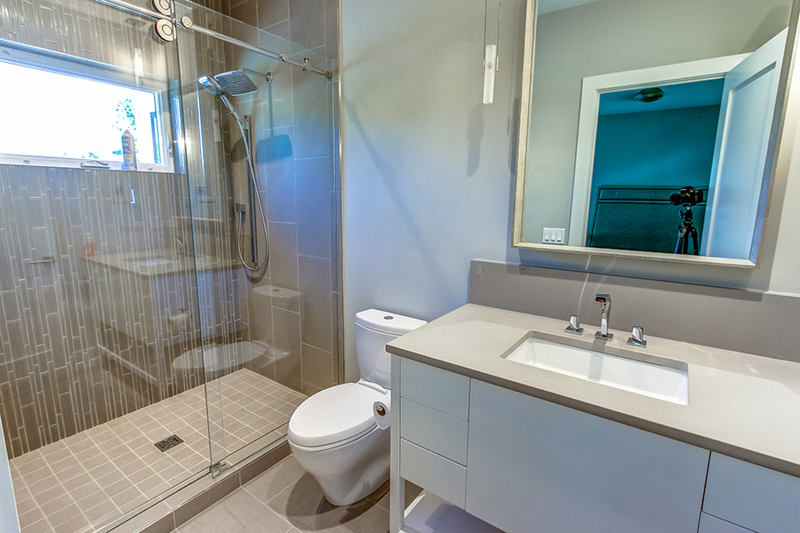 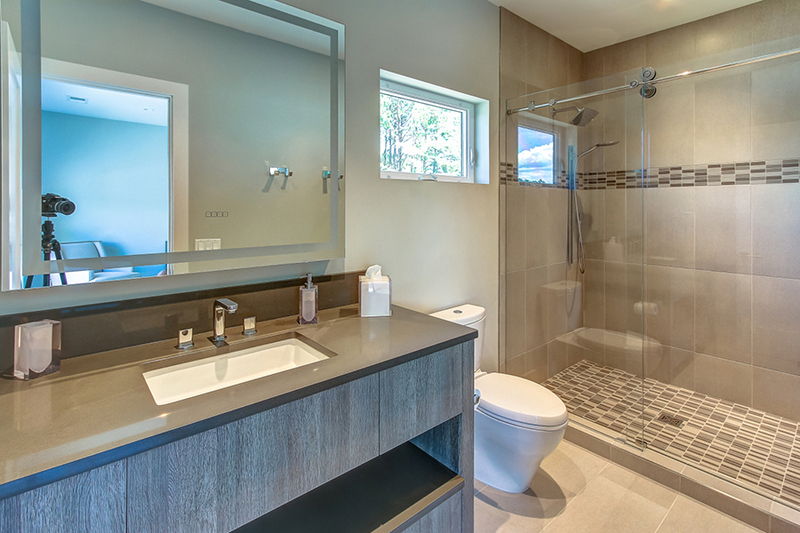 The master bathroom has a linear drain to complete a true contemporary feel. 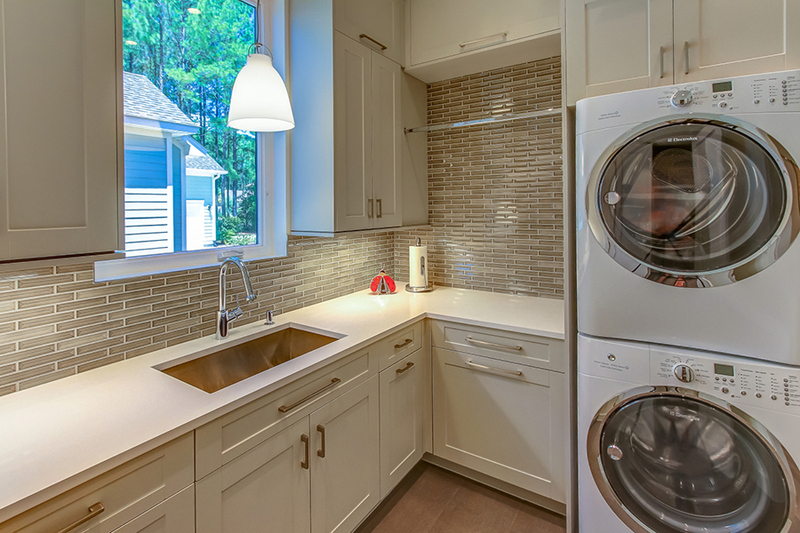 The laundry room is also designed using glass tiles for the back splash and Caesar Stone counter tops as well.